With a front row seat to Amazon’s Seattle HQ towers and new spheres, GID leveraged a positioning strategy, brand system and unique marketing campaigns from Red Propeller to successfully lease-up their two-phase, two-tower development. With GID’s bold vision for its two sites in Seattle’s South Lake Union and Denny Triangle neighborhoods and questions on how to maximize the value of their project, Red Propeller was retained to develop a positioning strategy and target audience profile. We studied the Seattle development landscape, competitive and pipeline residential product and existing market conditions to understand development opportunities and gaps in the current offering. The result was a definition of the target renter audience and a positioning strategy to help prospective residents see the relationship between the two towers while also distinguishing between them. Cirrus was constructed and stabilized ahead of Stratus’ opening, so Red Propeller’s strategy took into account rent growth, resident retention, and design differentiation goals that would ensure both towers are distinct and support each others’ success. Cirrus is South Lake Union’s first high rise apartment community with sophisticated metropolitan home appeal and total living experience. Celebrating Seattle’s rise to global prominence as a city, Stratus elevates with a bold mix of textures to define urban, design-centric, avant-garde living. With these strategies in mind, Red Propeller led the design of visual brands, marketing tools (website, collateral, signage), and marketing campaigns to drive a successful lease-up of each tower. 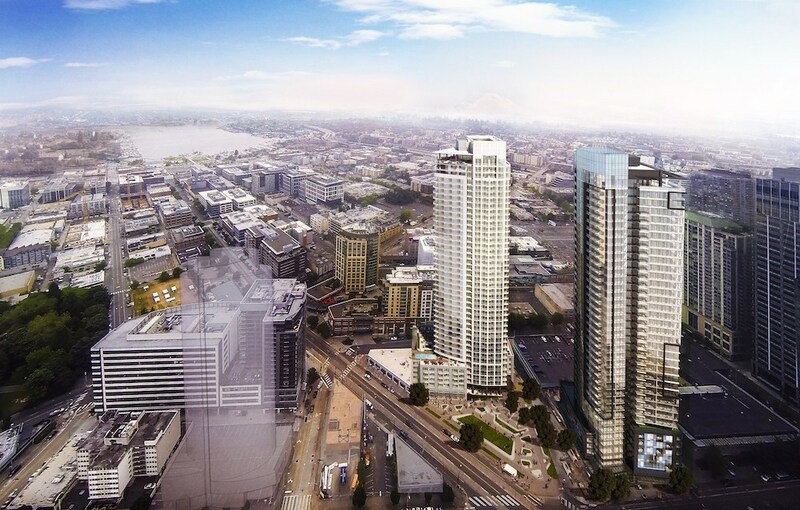 As South Lake Union’s first residential high rise towers, Red Propeller recommended a brand convention that established a relationship between the communities while maintaining strong differentiation. Relating to cloud formations, the names Cirrus and Stratus were catalysts for the tagline “View life from the clouds” and myriad visual assets relating to our elevated design, commanding views, and top-tier service quality. To support the successful lease-up of the towers, Red Propeller designed a series of rich media experiences that demonstrate the product quality and attention to design detail.